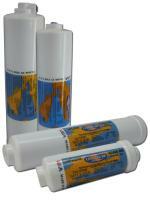 Omnipure Water Filters - CL, E, K, Q, ELF, OC & OMB Series | Applied Membranes Inc. Incorporated into every Omnipure filter body design are engineering features that make Omnipure products the best, most cost-effective inline water filters on the market. For instance, every filter features a patented spring disc that keeps media under ideal pressure and eliminates channeling. Polypropylene inlet and outlet pads prevent media migration that can foul water. Lastly, all Omnipure filter components are friction welded together to eliminate the use of glues or binders that can contaminate drinking water. Following are the different body designs offered by Omnipure. Each body offers distinctive features and benefits for specific applications. Individual specification literature on each of these body styles can is available by following the links. ELF-Series The ELF-Series of filters from Omnipure was designed specifically for the higher volume requirements for the food service industry. OC Series and OMB Series Cartridge Replacements USES: R.O. Systems, icemakers, under-the-counter, drinking fountains, beverage equipment, refrigerators, and in conjunction with commercial purification systems. Omnipure CL Series filter body is offered in several carbon and sediment media options and have threaded end connections for in-line installation. The K-Series filter offers many media options including Granular Carbon, Scale Inhibitor, Sediment, KDF, Nitrate, DI, Calcite, Softening, and more. Q Series filters are designed for ease of filter replacement. Remove the filter body from the permanent head with a twist of the wrist. E-Series filters are designed for our customers that already use existing permanent heads but would like an alternative to the replacement bodies currently offered. Omnipure ELF Series High Capacity Extra-Large Format Filters are designed specifically for the high volume requirements for the food service industry. 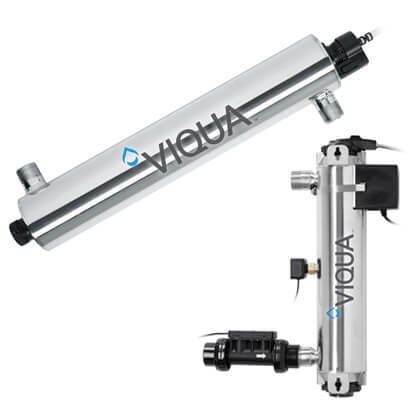 OC-Series granular activated carbon filter cartridges are designed to fit most standard 10” filter housings, making them ideal to use as replacements in existing installations. OMB-Series of replacement cartridges feature the new OmnipureBlock™ media. Polyphosphate and Polyphosphate + GAC filters are ideal for the protection of equipment such as ice makers, beverage equipment, and pumps.